This month, Blue-Eyed Girl Lacquer and Paint Box Polish have teamed up for the regular collab series Destination Duo. These polishes are inspired by the same photo, taken by one of the makers. 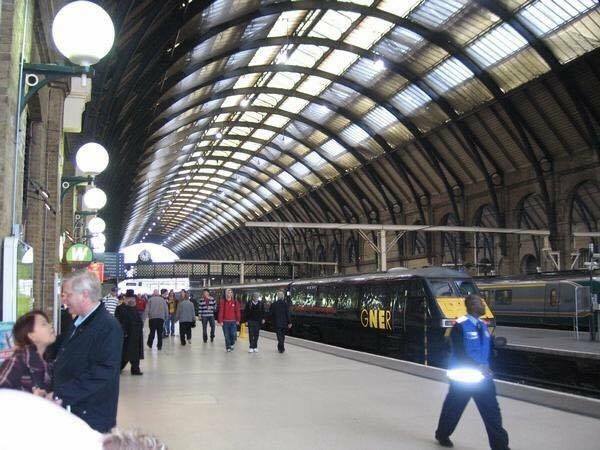 This time it is Pam of Paint Box Polish, who took a shot of King's Cross Station in London that provided a mix of nuanced grays and taupes with flashes of color. 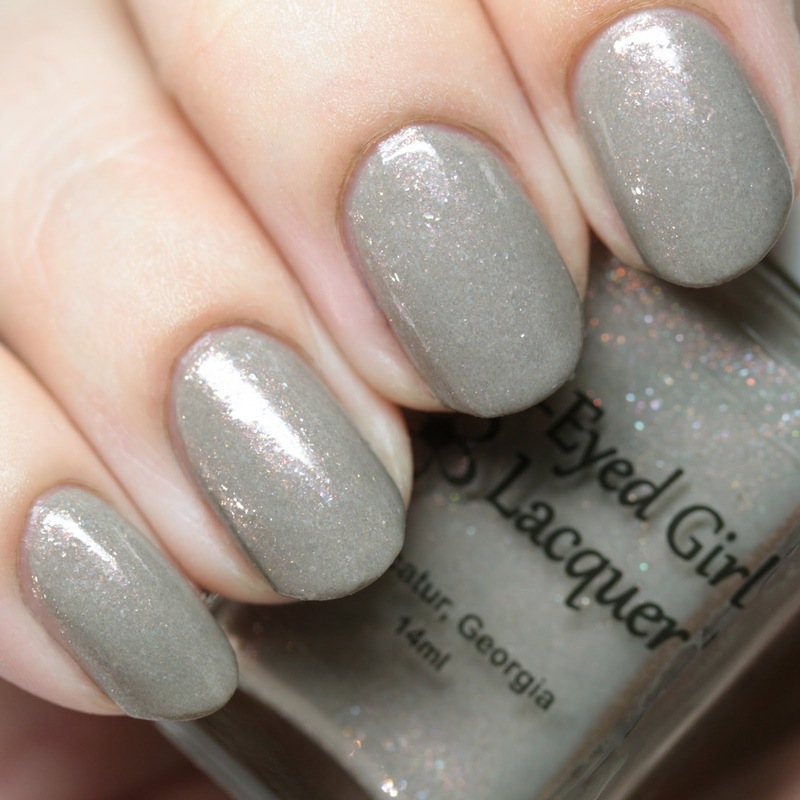 I already featured the BEGL shade yesterday, but let's have a look at both together! The makers took inspiration from the nuanced, shifting tones of gray in the station, along with some flashes of red worn by passerby. Paint Box Polish Anything from the Trolley, Dears? is a glitter topper with iridescent, holo, and charcoal flakes, red/gold shimmer, and red square glitters worn here in four thin coats on its own. This dries quickly and quite smooth - I wore it with top coat, but even before I applied it nothing dramatic was sticking out. The shift is quite lovely and I'd say this polish is a success on its own as well as functioning as a topper. The red glitters are not super abundant but you can catch them. The polishes layered together (one coat of the topper) work extremely well and look even better in person. The set also includes a nice, softly scented Mani Fizz - Butterbeer from Paint Box Polish. The duo is available right now in both makers' shops for $20 shipped domestically in the US and pro-rated internationally. 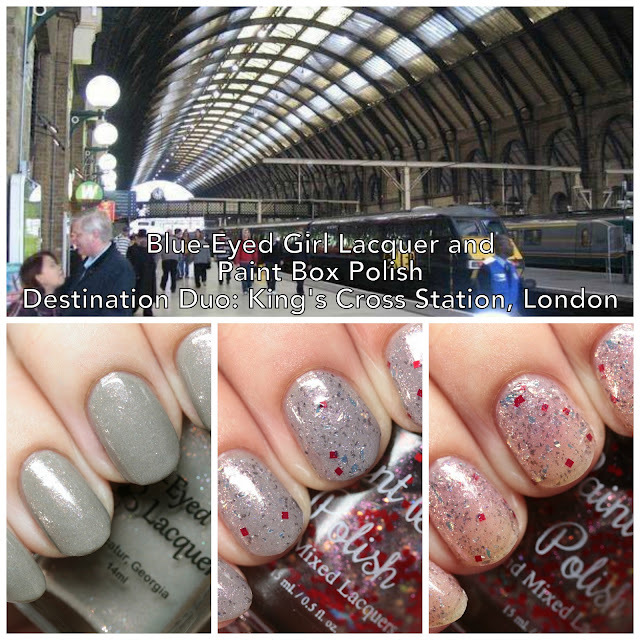 This duo is a nice one for London and Harry Potter fans and both polishes perform beautifully! 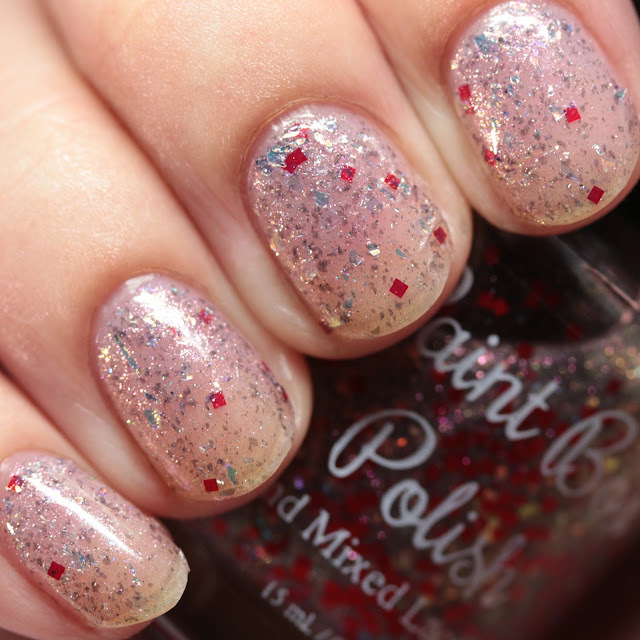 Pam runs one of the first indie polish brands, founded in 2011, from Indiana. She makes both lacquers and nail care products.